The trucking financing landscape has changed markedly since the beginning of the credit crisis. With banks now extremely cautious in their lending, a lot of trucking business owners are finding it hard to secure the funding that they need in order to take their business to the next level. Here at MCAT we offer alternative trucking financing in the form of a merchant cash advance – so if you’ve been knocked back by your bank when applying for trucking financing, make sure you get in touch with us today to see how we can help you. Unlike fixed repayment bank loans, merchant cash advances are flexible. You only ever repay a percentage of your business’ sales – when things are going good repayments will be high, and when things are quiet your repayments will be reduced. All repayments are taken automatically too – which means you don’t have to worry about making manual payments on the last day of each month. A merchant cash advance involves a company like us buying a portion of your future sales. We’ll give you a lump sum of money up front, then that money plus fees is repaid to us over time. What a lot of our customers tend to like about our cash advances is the fact that they don’t accrue interest – that means if sales drop off for the foreseeable future, the cost of borrowing the money will still remain the same. 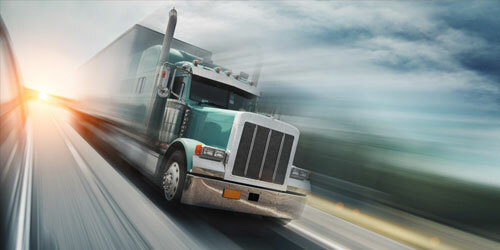 How could trucking financing help you? There are hundreds of different ways in which the money raised by trucking financing can be spent. You can spend it on new vehicles for your fleet – or even upgrades and repairs on existing vehicles that your company owns. We recognize that no one understands the trucking industry as well as you do, and we won’t interfere or micromanage by telling you exactly where the merchant cash advance has to be spent. We trust you to make the right call. When applying for a bank loan the chances are that you’ll have to wait weeks or months for a decision from the bank. Here at MCAT we make the decision process as short as possible – usually just a couple of working days at the most. As soon as we’ve made a decision on your application we’ll get in touch to let you know. If you like the sound of our alternative business financing make sure you fill out the short application form here on our website today – or pick up the phone and speak to one of our operators.